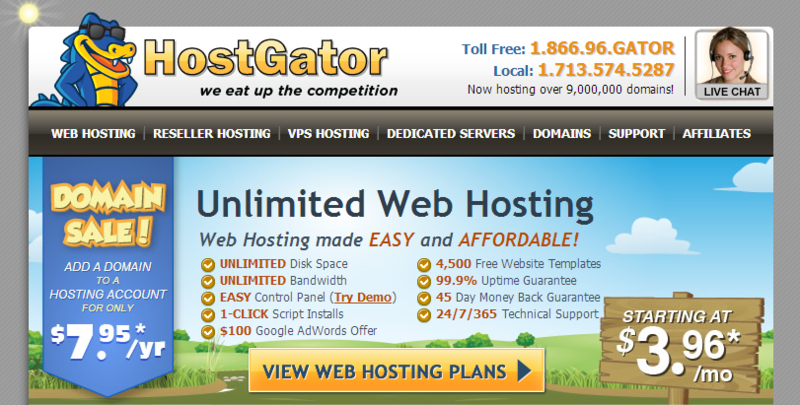 Did you miss the $4.95 domain sale at Host Gator? Well, you still have a chance to get a good deal. Due to the success of their $4.95 domain sale, Host Gator let me know that they are offering a reduced price of $7.95 on all domains through the end of August. This offer may not come around again. Visit http://www.smokymountainmarketing.com/hostgator to get the deal. Get your new Domain Now!